More than any other party in your lifetime, your wedding day is the chance to celebrate your love in an incredibly tailored and personalized way. You are a special couple with a flavor all your own: make sure your essence is eloquently expressed and your relationship is ravishingly represented. The following are five sparkling ways you might add a dash of UNIQUE to your custom event. 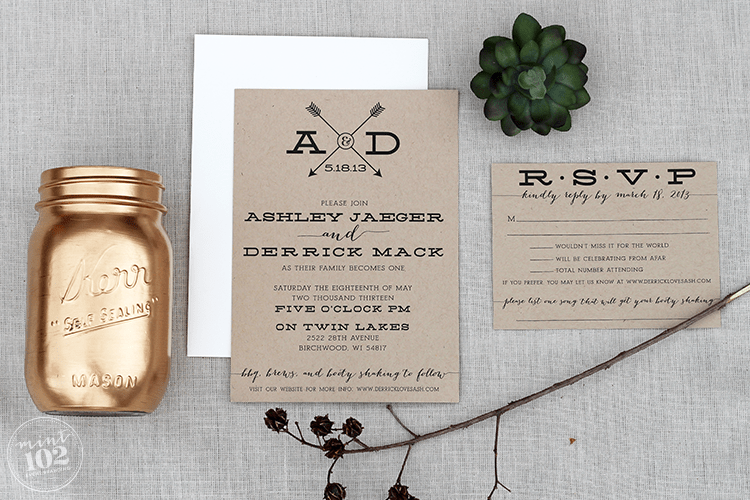 Beyond monogramming, a logo is a professionally-designed custom graphic for your wedding. Just as a new company must focus on its branding to communicate its message in a clear, consistent way, your wedding graphics can be yet another element that communicates YOU. I am in love with the work of the ladies over at Mint102. Consider hiring a graphic designer or illustrator (usually much more reasonable rates than one might think!) to brand your wedding visually and give it an extra POP of bespoke. 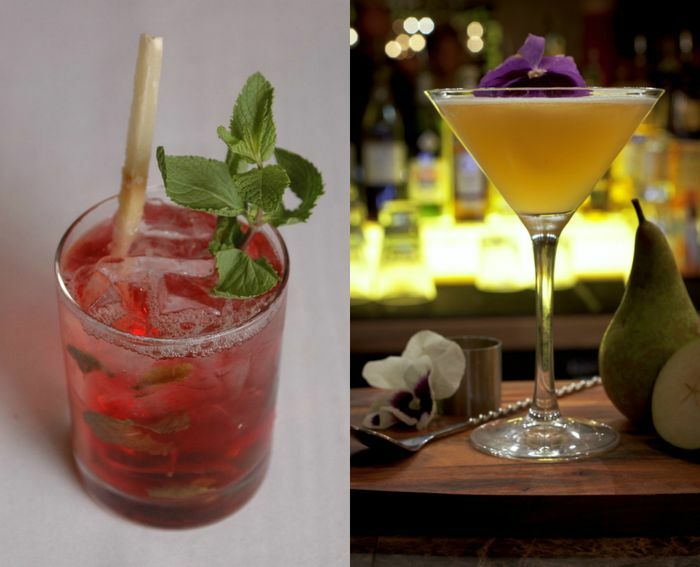 You will likely select a mass beverage of choice be it wine, beer, or champagne, but how about creating a custom cocktail which reflects you and your fiance’s taste and flair? At a recent reception for some close friends of mine, their signature drink of bourbon, ginger beer, and apple was presented to the guests. Not only did it deliciously tickle our taste buds; it also reflected the couple’s unique preferences. A signature beverage is a nice way to unite the guests with you, the wedded couple, and your new life together even in the smallest way of drinking what you like to drink. “With your heart my soul is bound.” “I’ll keep you safe, you keep me wild.” “Yours I remain.” Words are so powerful! 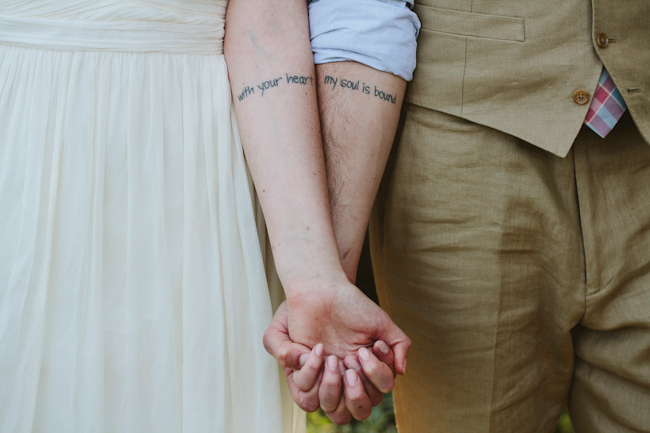 Consider choosing a quote or song lyric that reflects you and your soon-to-be-husband’s view of love and each other. When a quote makes your tummy tickle or your heart warm, that’s usually a good indicator it resonates. Then, integrate your quote into a few key parts of your wedding — be it a banner over the dessert table, a tagline on your invitation, or a tattoo on your wrist. Focus upon a set of words to strengthen you as a couple when you reflect on them during your marriage. 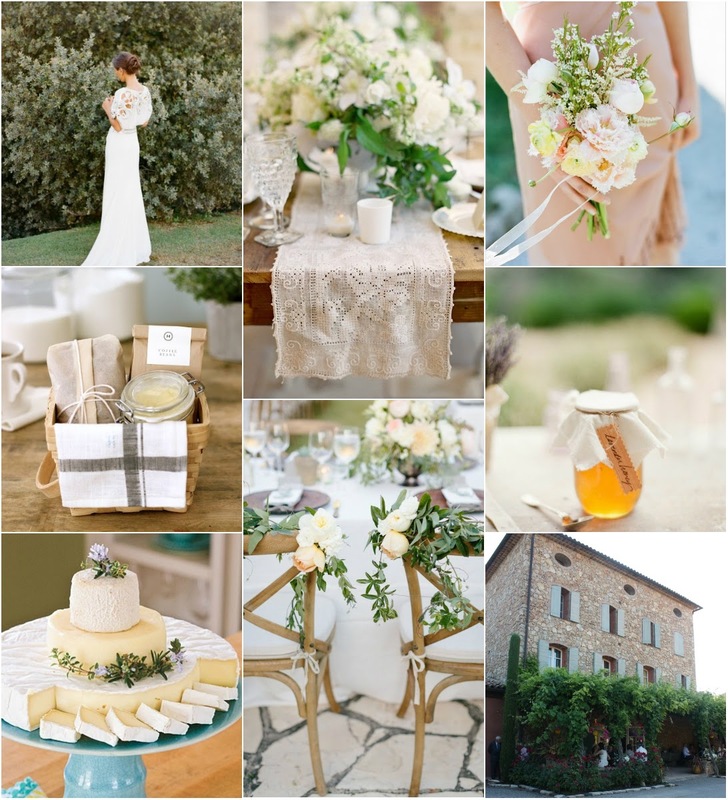 Consider the theme of your wedding as a subtle guiding direction; infuse its qualities into every facet of the event. Do you and your fiance really enjoy woodland creatures? Find fox-y bookends for your centerpieces, a deer figure near the sign guiding guests to the ceremony site, and a badger stamp to grace your favors. Inspired by French provincial style? Infuse lavender into your lemonade (see “Signature Beverage” above! ), display desserts on a painted white dresser, and dine at a rustic farmhouse table. When you have an over-arching theme, it is easier to choose elements that go together and to express to your guests who you are and what you love. We have always known that THE DRESS is the one that makes you feel like a million bucks, the one that reflects the essence of your beauty inside and out. It has the potential to say a lot about who you are. And these days, brides are not limited to the cut, color, or fabric of the traditional wedding dress. If you want to get married in a glittering gold sheath, or a blush-colored organza gown, or a short white cotton number, YOU MAY. The dress you wear communicates a lot about your unique style — make it talk, sister! 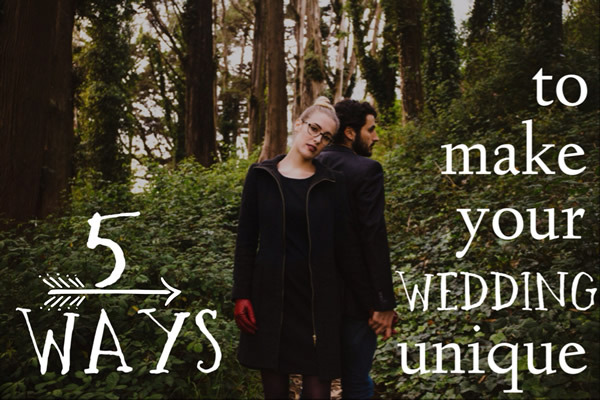 Stay tuned for our next Inspiration post, “5 Ways to Make Your Wedding Memorable“!